Many real-world scenarios can be modelled as multi-agent systems, in which multiple autonomous decision makers interact in a single environment. The complex and dynamic nature of such interactions prevents hand-crafting solutions for all possible scenarios, hence learning is crucial. There exist several different classes or paradigms that address learning in multiagent systems, which we identify as individual learning (e.g. reinforcement learning), population learning (e.g. co-evolutionary learning) and protocol learning (e.g. learnable mechanism design). Although historically these classes come from very different perspectives we find that ultimately there are many commonalities among these algorithms. In this talk I aim to emphasize and unify some of these commonalities. I will discuss Evolutionary Game Theory as a tool or means to capture the dynamics of multiagent learning across the different classes of multiagent learning, which allows us to identify some of the similarities and differences. Finally, I will outline some of the prospects that involve Deep Learning. Prof. Karl Tuyls (FBCS) is professor of Computer Science at the University of Liverpool and is also part-time professor of BioInspired Robotics and Autonomous Systems at Delft University of Technology. Previously, he held positions at the Vrije Universiteit Brussel, Hasselt University, Eindhoven University of Technology, and Maastricht University. At the University of Liverpool he is director of research of the school of Electrical Engineering & Electronics and Computer Science. 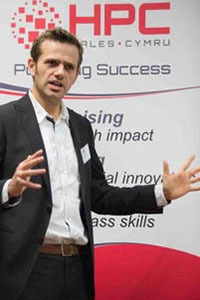 He founded and leads the smARTLab robotics laboratory since 2013 (http://wordpress.csc.liv.ac.uk/smartlab/). Prof. Tuyls has received several awards with his research, amongst which: the Information Technology prize 2000 in Belgium, best demo award at AAMAS'12, winner of the German Open robocup@work competitions in 2013 and 2014, world champion of the RoboCup@Work competitions in 2013 and 2014, winner of the RoCKIn@work competition in 2015. Furthermore, his research has received substantial attention from national and international press and media (http://karltuyls.net). He is a fellow of the British Computer Society (BCS), is on the editorial board of the Journal of Autonomous Agents and Multi-Agent Systems, and is editor-in-chief of the Springer briefs series on Intelligent Systems. Prof. Tuyls is also a member of the board of directors of the International Foundation for Autonomous Agents and Multiagent Systems (www.ifaamas.org). In 2017 prof Tuyls has joined DeepMind fulltime as a research scientist. Abstract: Multi-Agent Planning (MAP) deals with the problem of planning in domains where multiple agents plan and act together in a shared environment. MAP combines technologies, methodologies and algorithms developed in the fields of Automated Planning and Multi-Agent Systems. MAP covers a broad range of different problems: agents that work cooperatively to solve a common planning task, agents that attempt to coordinate their individually planned activities or agents that develop planning solutions in competitive scenarios. In this talk, we present a tour through the various approaches to deterministic MAP for non-strategic agents as well as for self-interested agents. We will analyze the principal concepts, methods and approximations introduced in MAP to tackle a wide typology of planning problems with multiple agents. Eva Onaindia is a professor of Computer Science at the Universitat Politècnica of València (Spain) where she teaches undergraduate and master courses in Intelligent Systems and Automated Planning. 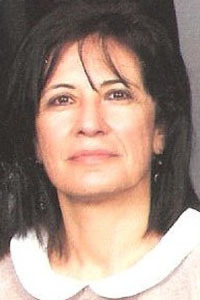 She currently leads the group of Reasoning on Planning and Scheduling (http://users.dsic.upv.es/grupos/grps/) where she conducts research in classical and temporal planning, negotiation, argumentation and social choice applied to multi-agent planning. She has led several national research projects as well as sitting on various scientific committees in her field (IJCAI, ICAPS, AAAI, ECAI, etc.). She is Editor-in-Chief of the journal AI Communications, Review Board member of the journal Applied Intelligence and Program co-chair of ICAPS 2019. She has published about 140 articles in specialized conferences and scientific journals related to topics of Artificial Intelligence, Planning, Argumentation and Recommender Systems. She is also currently undertaking investigations on data mining and modeling emotions from social networks for decision-making. Abstract: We witness more and more different sources of data, which contain valuable information that could be relevant for many different domains. By analysing this heterogeneous voluminous data, we can run our business smarter, predict unusual behaviour or simple discover interesting patterns in our data we were not aware of. However integration of this data poses a lot of challenges. This talk will elaborate on concepts and methods introduced to integrate heterogeneous data in distributed environment and highlight benefits it provides and challenges we are facing. It will also introduce several projects currently running within the Big Data Lab as well as provide vision how Big Data analytics on this integrated data can give edge in the competitive market. 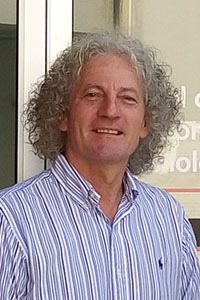 Bela Stantic is Professor in Computer Science at the Griffith University, Brisbane (Australia). His expertise is in data Sciences specifically in efficient management and analytics of heterogeneous and complex data. He is a founder and Director of “Big Data and Smart Analytics” Lab within the Institute of Integrated and Intelligent Systems at Griffith University. He successfully applied his research interdisciplinary and he has published more than 100 journal and conference peer reviewed publications, which in turn helped to attract significant external funding. He was invited to give many keynotes and invited talks at highly ranked International conferences and prestigious institutions.